Loads of experience and two local products headlined the 2011 Norfolk Tides roster when it was released Tuesday. Virginia Beach's Michael Ballard and Chesapeake's Clay Rapada are both expected to play big roles with their hometown team after being assigned to Norfolk. Ballard is expected to join the rotation while Rapada will see action as a left-handed specialist out of the bullpen. Though not set, the rotation should feature four pitchers with Major League experience. Ballard is expected to be joined by Ryan Drese (96 MLB starts), Mark Hendrickson (166), Chris Jakubauskas (9), and Troy Patton (2). Rick Vandenhurk (33) and Chris George (44) are also candidates to crack the starting rotation. The bullpen is expected to be anchored by three returning players. Alberto Castillo (1-2, 4.54 ERA, 4 saves), Pat Egan (1-1, 5.11, 0) and Armando Gabino (7-0, 2.37, 2) will all pitch for the Tides in 2011 after spending last summer in Norfolk. 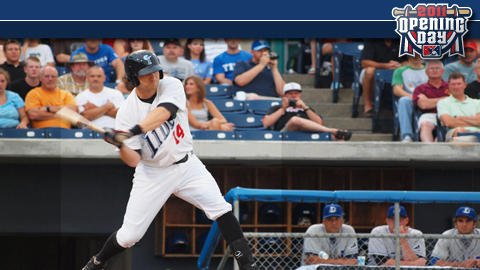 Former top prospects Josh Bell and Nolan Reimold highlight what should be a powerful lineup for the Tides in 2011. Bell, who was acquired from the LA Dodgers in July 2009 for relief pitcher George Sherrill, hit .278 with 13 home runs for the Tides a season ago. Rated as the top position prospect in the Orioles farm system prior to the 2010 season, the third baseman played in 53 games for Baltimore and hit .214 with three home runs. Bell will be joined in the infield by veteran Brendan Harris, who was acquired from Minnesota in off-season, as well as returning first baseman, Brandon Snyder. Snyder, the Orioles top pick in the 2005 draft, clubbed nine home runs for the Tides last season. Ryan Adams, the highest-rated prospect on the club, is expected to assume the job at second base. Rated as the No. 8 prospect in the system according to Baseball America, Adams hit .298 with 15 home runs for Bowie in 2010. Reimold was a top contender for the American League Rookie of the Year award in 2009 before an injury ended his season prematurely. He hit a combined .285 with 19 homers and 64 RBI in 125 games for the Tides the past two seasons. Matt Angle and Tyler Henson will join him in the outfield. Angle hit .260 for the Tides in 2010 while Henson hit .278 with 12 home runs for Bowie. Middle infielder Nick Green, who played for the LA Dodgers and Toronto Blue Jays in 2010, first baseman Blake Davis and outfielder Rhyne Hughes are expected to compete for the designated hitter slot. Hughes smacked 10 home runs for the Tides in 2010. Craig Tatum is expected to assume the primary catching duties this season after hitting .281 with Baltimore last season. Michel Hernandez is slated to serve as his backup.